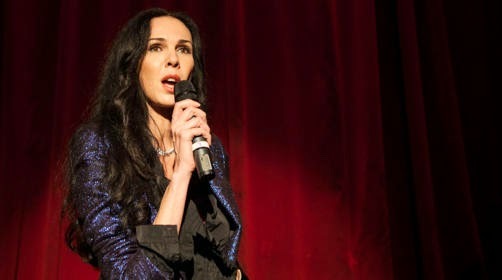 NEW YORK (AP) — Designer L'Wren Scott was being remembered Friday evening at a celebrity-filled Manhattan memorial service attended by luminaries of the fashion world and Hollywood. The service for Scott, a noted fashion designer and stylist who committed suicide March 17, was being held at St. Bartholomew's Church on Park Avenue. Scott's longtime companion, rocker Mick Jagger, was believed to be present although he wasn't immediately seen entering the church. Those seen entering included actresses Julianne Moore, Sarah Jessica Parker, Meg Ryan and Renee Zellweger; Vogue editor Anna Wintour; film director Baz Luhrmann; Vanity Fair editor Graydon Carter and fashion personality Andre Leon Talley. Fans lined against barricades to take photos of attendees, whose names were being checked on iPads as they entered. A small and private funeral was held for Scott in late March in Los Angeles, after which she was cremated, per her wishes. Scott left her entire estate to Jagger, the Rolling Stones frontman, according to the Daily News.